I’m into buying fresh artisan bread these days. I like a veggie sandwich, because it has all the fibre and nutrients, and the bread is satisfying. 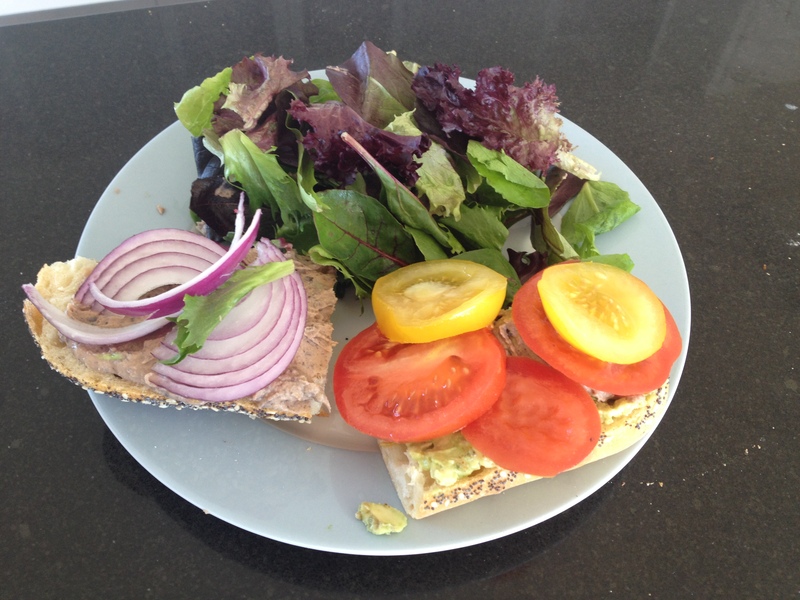 I used avocado, humus, tomatoes, red onions, and 100g of bread. It all adds up to about 425 calories.